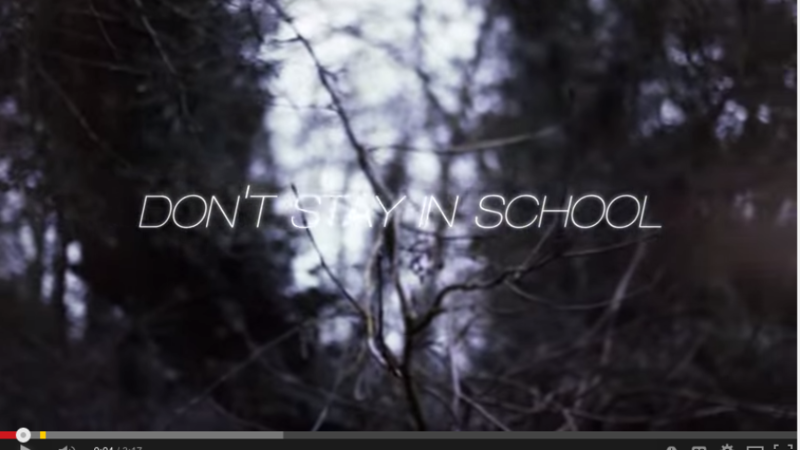 The track “Don’t Stay in School” by Boyinaband went viral about 3 weeks ago. Its worth a listen – even if you don’t like hip hop or androgynous looking men with long hair. He has nailed my feelings on this subject, It is now one of my favourite tunes. After the deluge of interest in the the track the artist has said in a later video that he has big plans to continue taking this issue foreword. On the video below he is explaining how one school is making changes after the song being viewed by most of the students and staff.